If you can get past the travesty that is 1980s British décor (talk about wallowing in misery) then you will hopefully find Pride to be an inspiring and touching film. 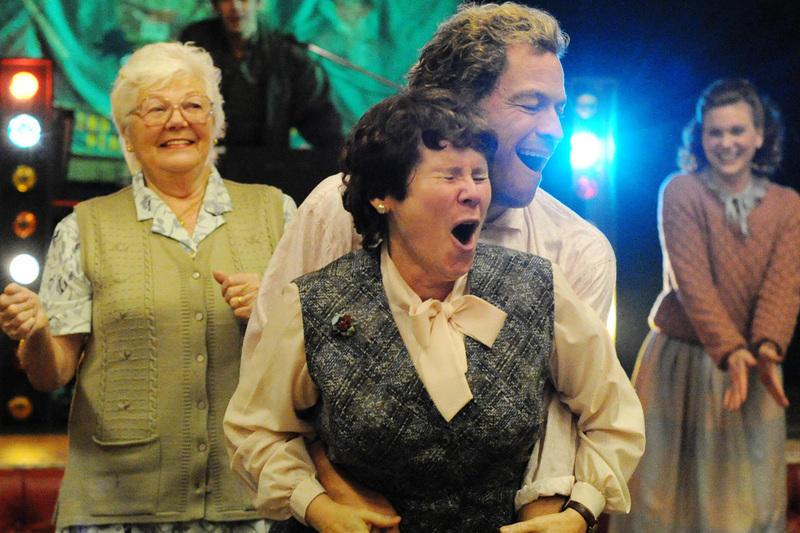 Set at the time of the miners’ strikes during Thatcher’s reign, Pride tells the true story of a group of gay activists who lent their support to the miners in a true showing of solidarity. Initially knocked back by the National Union of Mineworkers due to their fears about being associated with a gay group (what lamos), the LGSM (Lesbians & Gays Support the Miners) donated directly to the Welsh village of Onllywn, and forged a successful alliance. For the most part Pride is an inspiring story, but of course it has its dark moments. All the homophobic dickheads made my blood boil. The fate of a couple of characters as told in the closing credits was tragic. And the ending also produced mixed feelings of being proud of Britain for finally legalising gay marriage while simultaneously feeling ashamed of our own backwards country that STILL can’t afford this basic right. Just hurry the hell up and PROGRESS! It’s not that hard! Being a true story there were many more characters than would usually be involved in a fictional piece, and as a result there wasn’t much room for a great deal of character development. The character we see the most of, Joe (George MacKay) was a fictional addition, apparently created to act as the audience surrogate. Despite the fact that there was only scant time dedicated to all of the other characters involved, the film showcased their individuality well. 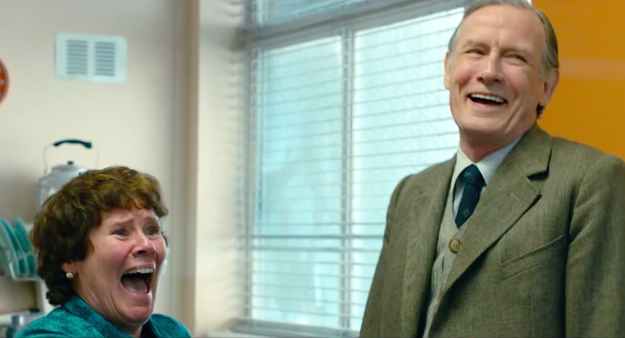 The big names here are Bill Nighy and Imelda Staunton, but they’re not the reason to see the film (even though they are good and there’s a beautiful scene between the two of them). 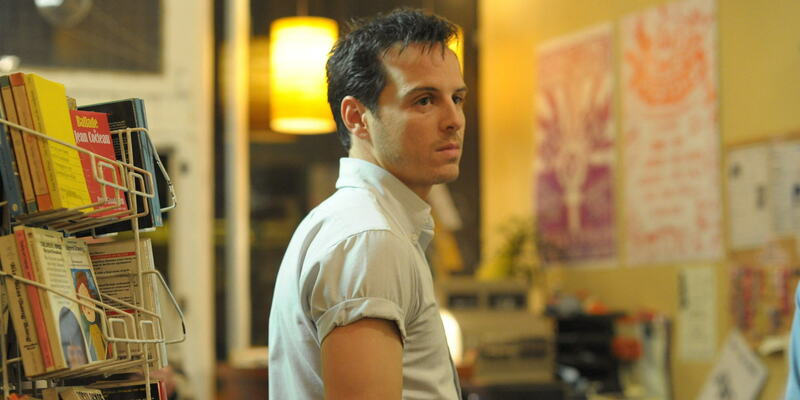 There are a whole host of impressive performances by George MacKay as Joe, Andrew Scott as Gethin, Faye Marsay as Steph, Dominic West as Jonathan, Jessica Gunning as Sian, and especially Ben Schnetzer as Mark. He’s actually American and he was Max in The Book Thief! WHAT THE HELL? I never would have figured that out without imdb. His range is amazing. He was the heart and soul of Pride and he is a talent to keep your eye on. 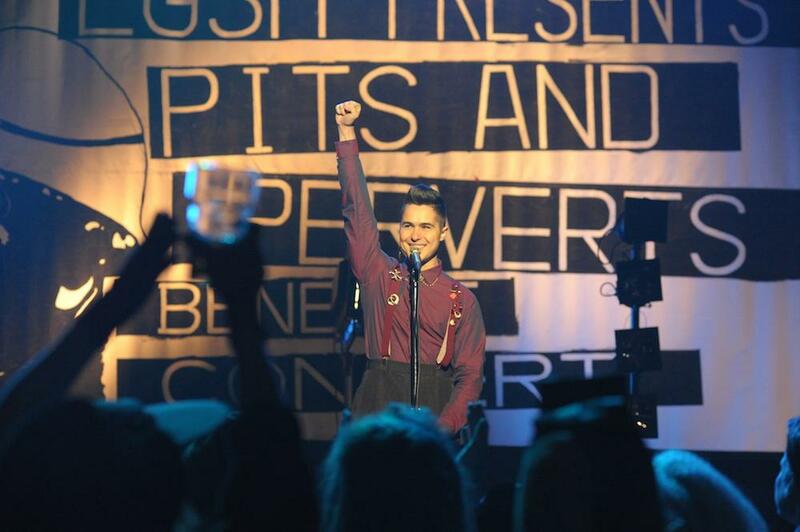 Parallels could certainly be drawn with Billy Elliot which also dealt with the miner’s strike, and GOOD NEWS EVERYBODY! 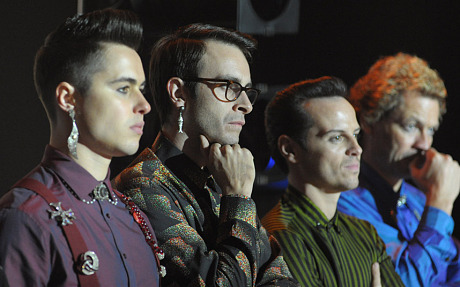 There are plans to make Pride into a musical. Director Matthew Warchus (a relative newbie) is also rumoured to be the director for the movie musical of Matilda, and I have faith in his ability to produce an enjoyable adaptation. The soundtrack certainly boosted Pride, and with the right composer some good original songs could really raise Pride to extraordinary musical heights. Surely Elton John would consider? Pride succeeds in evoking various emotions. It is touching, without being treacly. It acknowledges the low points, without getting bogged down in them. It is funny without relying on stereotypes, and the dialogue feels realistic. It has some grit, but it will still please the oldies too. Pride should put some warmth into your heart, and reinvigorate your fighting spirit. BE PROUD! Good review. Worth watching because of how inspiring and sweet it can be. Just for anybody, too. Loved it Clairestbearest. Thanks for the inspiration to go and see it. Great review!